They inhabit upland moorlands in summer (May to September ) . 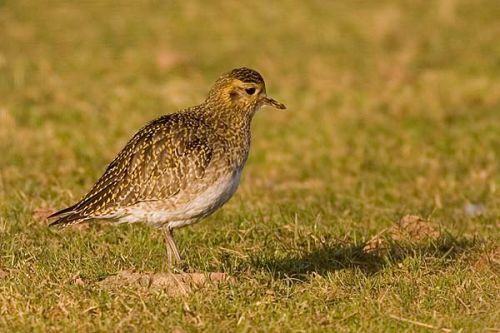 In Winter they move to lowland fields, forming large flocks, often in the company of lapwings / feeds on insects in summer and earthworms in winter . Nests in a shallow scrape , lined with Lichen and heather , in Heather or Grass / 1 Brood , 4 eggs , April-July , Incubation 30 days , Fledge 30 days .